International Letter writing is the only device for combining solitude with good company. A universal postal union letter writing competition held on 07/01/18 was organized by Indian postal service at the global level. Second State Thai Boxing Championship was held on 21 & 22 July 2018 at Vidhy International School Agra. Many district participated in the championship and from our school Mohd. Rehan Ali has got silver medal in junior category and also got selected for National Thai Boxing Championship. Event: 52nd National Unity Conference on "INDIVIDUAL ACHIEVEMENT AND NATIONAL ECONOMIC GROWTH"
Global Economic Progress and Research Association (GEPRA) New Delhi. 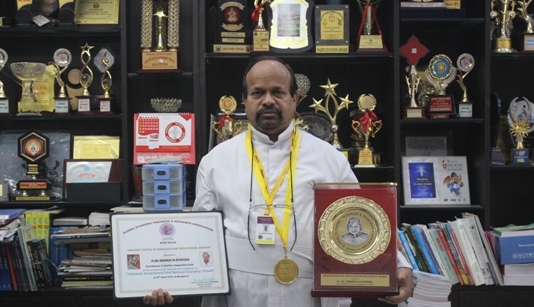 "Bharat Ratna Dr. Abdul Kalam Gold Medal Award" - Presented to Fr. 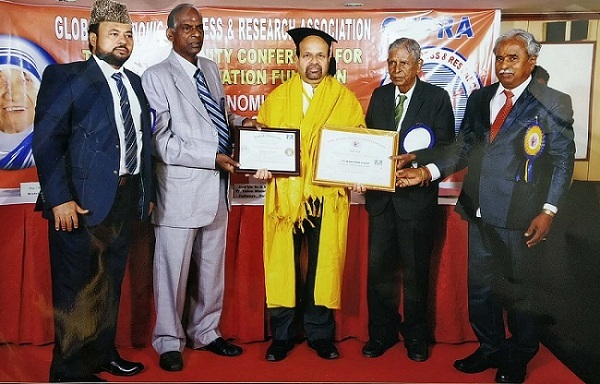 Dr. Dennis H. D'Souza, Excellence in his respective field of Education on 7th April 2018 at Bengaluru. 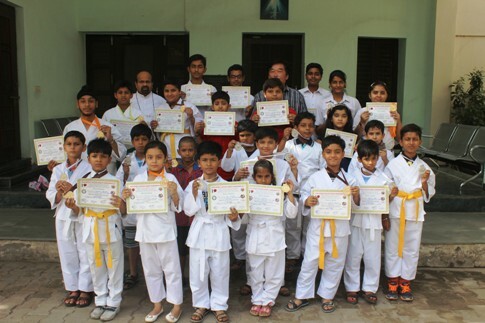 Organised By :- Extreme karate Sports Association Of India. National karate championship was held at Talkatora Indore Stadium, New Delhi, on 9th January 2018. Students from our school won the following medals with their exceptional talent and hard work taught by Mr. Michael Lee. CA Intermediate Exam was conducted in the month of November’2017. The result for the same came on 28th January’2018. 1,87,000 students appeared for the exam and 35,000 of them passed. 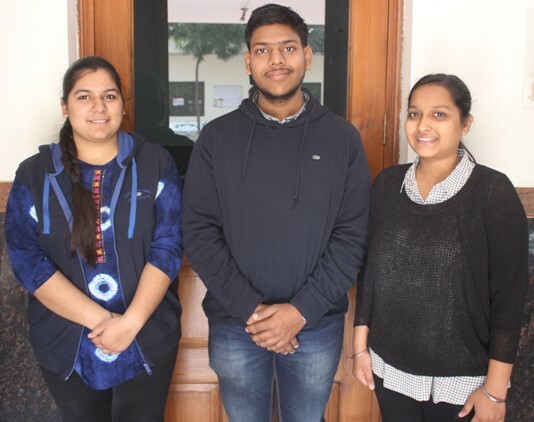 Among them three students of St. Clare’s Senior Secondary School cleared the exam in their first attempt. 8th International Karate Championship approved by Karate Association of India organized by Shifo-Ryu karate school of India, was held at Clarks Amer Hotel,Jaipur, Rajasthan from 11th October to 14th October 2017. Our very own Michael Lee Sir was also honoured by the organizing committee for his dedication. Cluster 4 Athletic Meet 2017-18 was organizes by Shyam Bihari Senior Secondary School, Etah from 11th Oct to 13th Oct. 78 school teams participated. 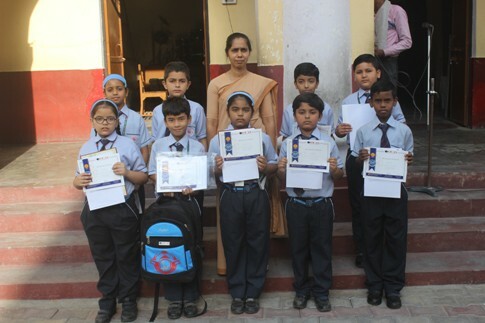 Our school bagged five medals 2 Silver & 3 Bronze. 6th Interstate karate championship-2017 was held on 15th and 16th July, 2017. 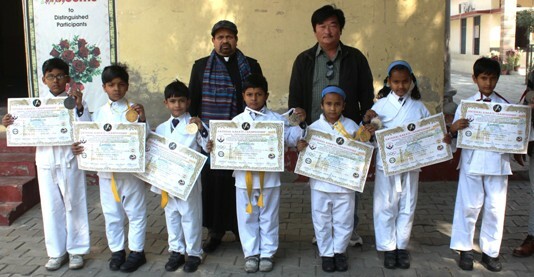 In which children from our school, participated and bagged one gold, one silver and two bronze. “A dream becomes a goal when action is taken towards its achievement”. 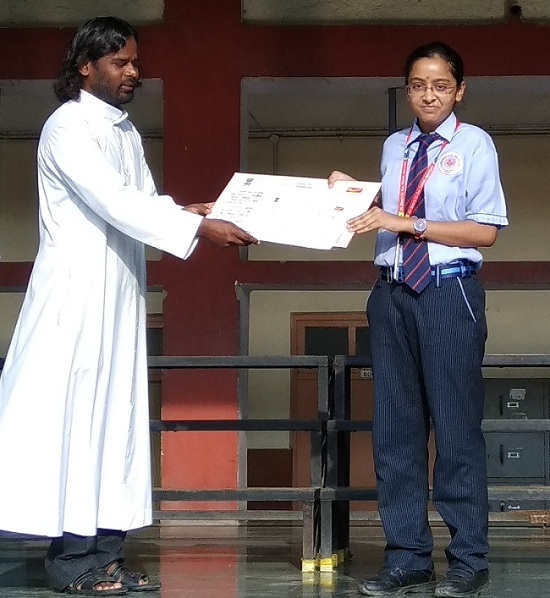 Orange Competition assessment exam was conducted at St. Clare’s Sen. Sec. 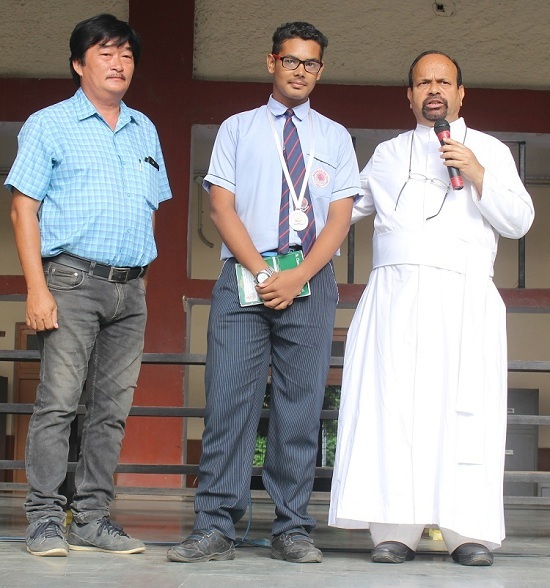 School in which some of our students from Alpha block exhibited an outstanding performance. 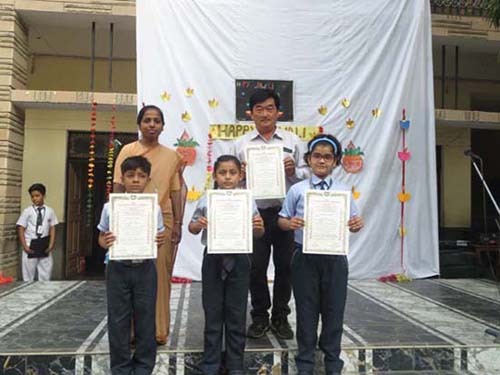 1)The School topper Ayush Chaudhary from class IV-C got 4 certificates. 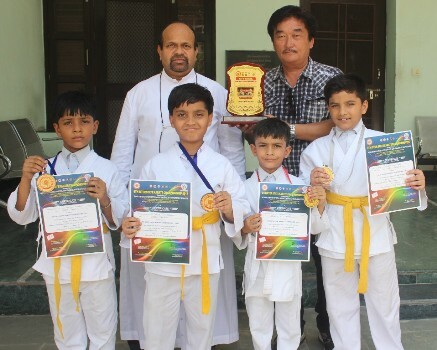 Inter District SHITO-RYU karate championship-2017 organized by Agra SHITO-RYU karate association was held on 14th May (Sunday) in St. Clare’s Sr. Sec. 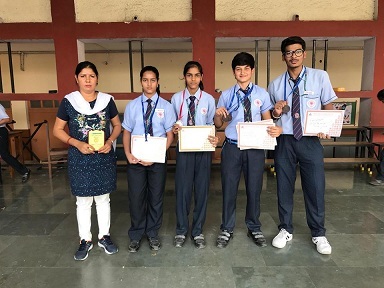 School Agra where contestants from different academy has participated, After a tough competition students from our school won 13 Gold,2 Bronze medals from omega and alpha block. Agra District sub-junior and junior swimming championship was held on 11th & 12th May 2k17 organized by Agra district swimming championship in G.D Goenka Public School. 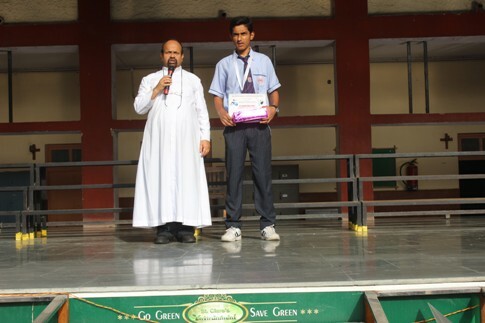 1) Neelmani gautam of class X-C secured 2nd position in 50 meter back stroke in junior category.